After Blue Whale game it is time for Momo Challenge game! Govt. of India has issued warning against Momo Challenge game, which entices the young towards self-harming dares and eventually towards suicide. In the Momo Challenge game, participants are initially challenged to communicate with unknown members of the group. The game consists of a variety of self-harming dares which becomes increasingly risky as the game progresses and it finally ends with suicide challenge. 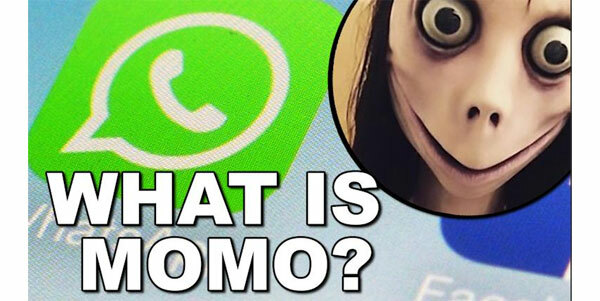 Momo Challenge starts with a task that encourage teenagers/children/any other user to add unknown contacts on WhatsApp by the name “Momo”. Once contact is added, the image of terrifying Japanese Momo doll with bulging eyes appear in contact. The game controller that entices player to perform a series of challenges and playing the game are threatened with violent images, audios and videos, if player do not follow instructions. It is understood that an administrator of game uses social media platform to invite/incite children to play this game, which may eventually lead the child to extreme steps for self-inflicting injuries including suicide. Govt. of India wants necessary advisory/precaution is given to all schools/colleges of the country via concerned bureaus.